In a scene reminiscent of Alfred Hitchcock’s The Birds, a dozen dirty white birds with long blade-like beaks have taken over a small suburban playground. Children don’t play here anymore – they’re too scared. And while such scenes might be expected in the mountains of New Guinea or the Amazon jungle, this is suburban Adelaide. Growing numbers of these birds have been spotted across the metropolitan area, from Semaphore to Aberfoyle Park. In Hillcrest last week, a seven-year-old had his lunch taken by a gang of five birds. While in Modbury, a flock of over 30 birds disrupted a church picnic with unruly behaviour and loud squawking. But what are they? Where have they come from? And what do they want from us? Tell that to Aldo Luring, a pensioner from South Plympton. He was returning from a trip to the local TAB when one of Professor Badger-Smith’s ‘timid creatures’ snatched the war veteran’s beanie, leaving a savage scratch mark on the man’s forehead. The man with the most chilling explanation for the urban ibis – or ‘urbis’ – is Dr Frank Drell, a geneticist whose book Genetic Engineering For Fun And Leisure was a New York Times bestseller. ‘Unfortunately, the animal doesn’t always take on the most appealing human traits,’ he adds ominously. Indeed, some inner city ibis have been seen queue jumping at city bus stops, while still others have been caught putting recyclable material in with regular garbage. 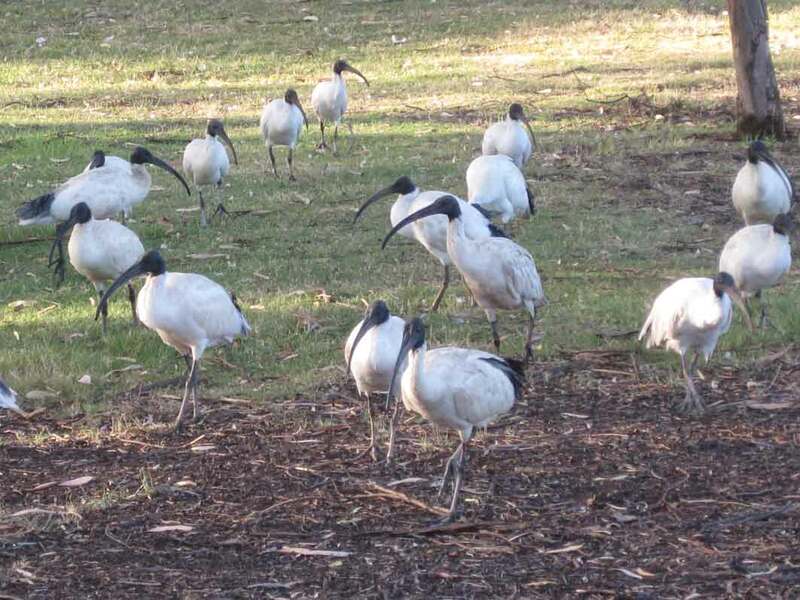 While politicians and scientists debate the ibis issue, nothing is being done, and ever-increasing numbers of birds are gathering in our playgrounds, restaurants and discount pharmacies. We can only hope it won’t be too late before action is taken. If you see, hear or smell any anti-social ibis behaviour ring 1800 IBIS HELP immediately. 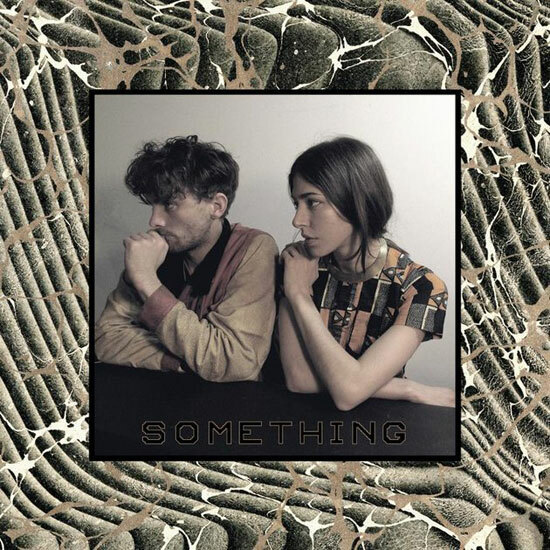 Since the release of its debut album, Does You Inspire You, in 2008, a couple of things have happened to Chairlift. Founding member, Aaron Pfenning, has left to pursue other interests. And the band, now just Caroline Polacheck and Patrick Wimberly, have acquired an inspired confidence and sleek new sound. As good as Does You Inspire You was, many of the songs were clunky and awkward, if not lyrically, then in arrangement and execution, sometimes both. But the last thing you could say about Something is that it is ‘clunky’. In fact, most of the songs are so sprightly they literally bounce out of the speakers. Early single, Amanaemonesia, provided a preview of this new direction. With its funky bass-line, busy vocal layers and soaring chorus, the song probably would have been a hit if its title had been a little easier to spell or pronounce. And whereas the arrangements on Does You Inspire You were rudimentary, the sound of this track is bubbling with invention. Amanaemonesia is one of the highlights of Something, but it has plenty of fine company. Opening track, Sidewalk Safari, is as good as they come, with its squiggly synth and shuffling rhythm, the song is so catchy you forget the fact that it’s about trying to run someone down with a car. When songs sound as effortless as these, you know something is going right for a band. Track three, I Belong In Your Arms, shimmers and skips, with gorgeous melodies and another glorious chorus. Lyrically, Something avoids the quirky topical concerns of the first album (health, environment, earwigs) and concentrates on that perennial favourite – love. If the song isn’t celebrating love, it’s about the lack of love, or the difficulties of love. But for the most part, the band has enough verve and personality to pull it off. Another highlight is second single, Met Before. Unlike most of the tracks on Something, the vocals are way back in the mix, beneath layers of big 80s synths and a thumping Motown beat. Curiously, after a long sequence of up-tempo tracks, the album ends with three slower songs. They are all decent tunes, but after such a dizzy string of dance treats, it can’t help but sound like an anti-climax. The second of these, Turning, is mainly instrumental, a Cocteau-like affair of atmosphere and suggestion. While final track, Guilty As Charged, chugs and coughs beneath Polacheck’s deceptively sweet-sounding tale of paranoia and desire. The album, then, is a success. Dripping with hooks, fine melodies and inventive arrangements, the album would have been a sure-fire hit if released in 1983. The unfortunate thing about today’s fragmented music world is that many people won’t get to hear it. But I’ve given you a tip, so check it out – Something is something else. It’s hard to believe that nearly three years have passed since the launch of my last poetry collection, The Inverted World. On a hot February night in 2009, a sweaty but amiable crowd assembled at The Jade Monkey in Adelaide to celebrate the launch of my chapbook, as well as the launch of fellow poet and good friend, Amelia Walker’s second collection, Just Your Everyday Apocalypse. In the years since, while my life has deteriorated into a never-ending, especially painful episode of Curb Your Enthusiasm, Amelia has travelled the world, completed her Honours thesis, started her PhD, and written and performed lots of great poetry. Some of it is about to be published by Queensland publisher, Interactive Press. Amelia’s third collection, Sound and Bundy, will be launched at 7.00pm on the 23 February 2012 at the Tin Cat Café in Kent Town. Also launched will be Heather Taylor Johnson’s collection Letters to My Lover From a Small Mountain Town. If you’re free on the night, get along to pick up your copies of two great new poetry books. I don’t want to tell you too much about Amelia’s new collection, other than to say it’s an absolutely one-of-a-kind, super special project. 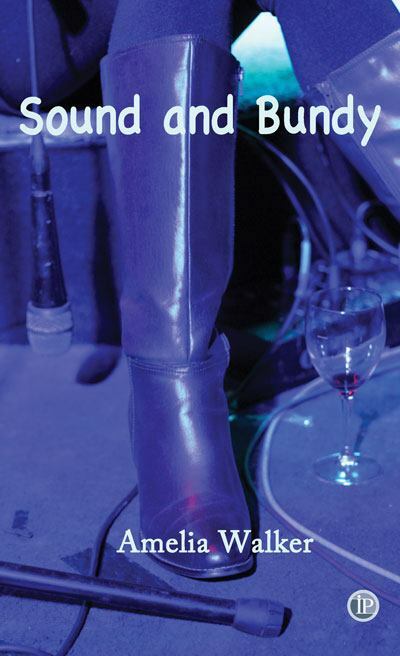 For those who do want to know more about Sound and Bundy, visit Amelia’s page at the Interactive Press website, where you’ll even get a sneak preview of some of the poems. If you can’t make it to the launch, you can order a copy (print or electronic) of the book online. Amelia will also be reading at the Wheatsheaf Hotel in Thebarton on the 27 February. As part of the Max Mo Spoken Word series, Amelia will be sharing the stage with Mike Ladd and Jude Aquilina. A great opportunity to hear three top Adelaide poets! The show starts at 7.00pm. 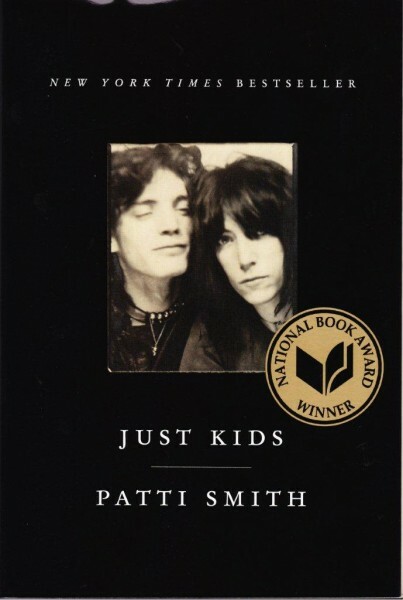 Just Kids – Patti Smith’s award-winning book – is not your typical rock ‘n’ roll bio. In fact, Smith’s emergence as a fully-fledged rock star is only touched upon in the last quarter of the book. Instead, the focus of this autobiography is Smith’s relationship with photographer, Robert Mapplethorpe – her close friend for over 20 years. The book begins with Smith’s childhood in New Jersey, where she develops an early fascination with poetry and art, interests she will eventually share with fellow outsider, Mapplethorpe. As a teenager, unhappy with life in rural South Jersey, she scrapes together enough money for a one-way ticket to New York, and with little more than a suitcase of belongings, heads to the city in search of a more like-minded community. Patti Smith’s trials as she doggedly follows this path are often harrowing. Naïve and socially awkward, she lives on the streets, sleeping in doorways and scrounging for money and food. A job in a bookstore brings some relief, and it is here she meets Mapplethorpe. Like Smith, he has abandoned his life and family in the suburbs for the big city. They become friends, then lovers, forging a partnership devoted to their passion for art. After establishing this bond, Just Kids, follows the couple as they struggle to stay afloat. But while day-to-day life remains difficult, Smith and Mapplethorpe keep true to their artistic vision. And after several years on the periphery of New York’s art scene, their arrival at the Chelsea Hotel eventually delivers the opportunities and connections that will bring them fame and success. Smith’s vivid and imaginative description of late 60’s New York is just one of the many pleasures of Just Kids. The hellish Allerton Hotel ‘reeking of piss and exterminator fluid, the wallpaper peeling like dead skin in summer’ becomes a kind of purgatory for lost souls. While the fashionably seedy Chelsea Hotel ‘was like a doll’s house in the twilight zone, with a hundred rooms, each a small universe’. The book is filled with the unique personalities that made New York the centre of alternative Western culture – the Beat Poets, the Warhol crowd, the Woodstock generation of rock ‘n’ roll stars. Smith has a gift for portraying even the most outrageous characters with great generosity. Ultimately, though, the story is devoted to Robert Mapplethorpe, Smith’s hero and soul mate and, as he nears a premature death, the final section of the book reads as a kind of elegy. Just Kids is a fascinating depiction of time and place, a moving tribute to a lost friend, and a recommended read for music fans and general readers alike.